As of March 7th, the Appalachian Trail Conservancy has 2,090 northbound thru-hikers registered through their voluntary registration system. As the season progresses, this number will continue to grow, and it doesn’t even account for all of the hikers that don’t register their hikes. Many of these will be first-time backpackers. Many won’t be entirely prepared, either lacking knowledge or without proper gear. 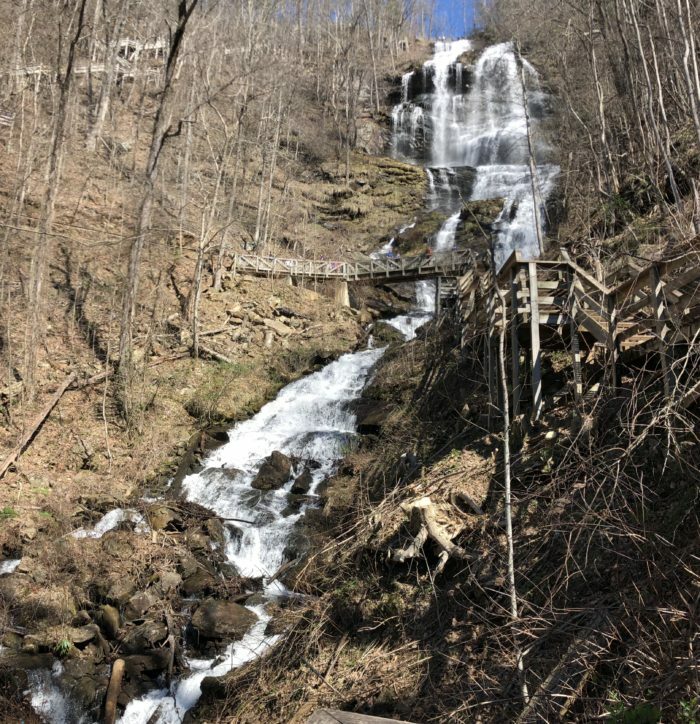 In order to help preserve the wilderness nature of the trail and to make sure that hikers are starting out as prepared as possible, the ATC is offering a FREE daily thru hiker class at Amicalola Falls. I took the time this past Saturday to attend one of these classes. 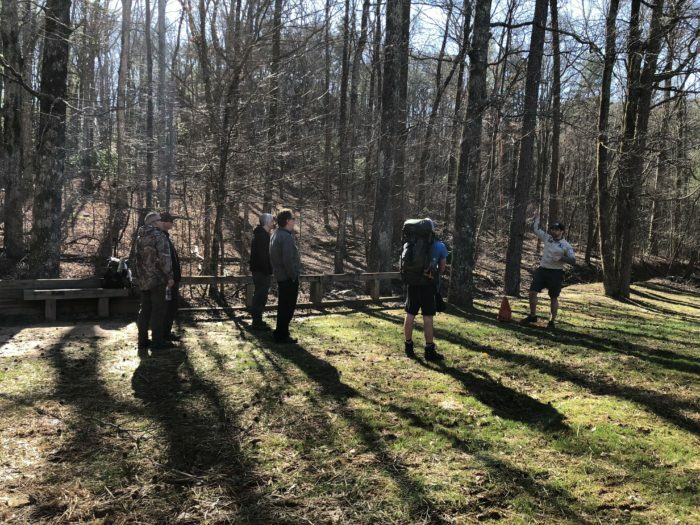 Here’s the low-down on what the class offers and why you should plan to attend one before beginning your thru-hike this year. While anyone is welcome to attend these classes, they are really geared toward the long-distance hiker who is about to begin their trek. If you are about to start a thru-hike or long section, you will benefit from this class. You’ll especially benefit if this is the first long hike you’ve ever attempted. A past thru-hiker and ATC Ridgerunner teaches the class. Notice the tent in the back? It was destroyed by a bear in the Smokies last year. Why are the classes being held? The ATC has set a goal of speaking to every single hiker that starts the Appalachian Trail this year. This means putting first-hand information into the hands of those who need it. Their goal is to make sure that every hiker leaving Amicalola Falls or Springer Mountain is equipped and prepared to be successful. The classes also provide up to the minute trail updates. Any special considerations, such as burn bans or high bear activity, will be brought to your attention. In addition, the ATC is officially recommending the use of a bear canister. They will be touching on this as well as teaching proper and recommended bear-hanging techniques. Trust me, you don’t want to carry even one extra ounce up all those steps! The outline of the class focuses on the 10 essentials needed for a successful thru-hike. 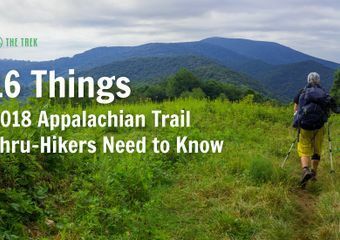 The entire presentation is based on making sure the aspiring thru-hiker hiker has packed each of these 10 essential items and knows how and when to use them. If you are missing one (or more) of the items, someone will discuss your options and alternatives. I wont steal their thunder, but the 10 essentials includes items such as water purification, insulation, and rain gear. This is a wonderful opportunity to check over your pack list and make sure you have everything you need to stay safe. The class also discusses ways to ensure that your hike is successful while making minimal impact to the trail, trail communities, and other hikers. An experienced thru-hiker and ATC Ridgerunner will lead a discussion on topics such as pacing, nutrition, and avoiding wildlife encounters. They will also discuss things that may cause you to end your hike and how to avoid those things, including relevant information on common over-use injuries and disease prevention on trail. You don’t want Noro or Lyme – come to this class and find out how to avoid these and other common trail illnesses. Every year among the new class of thru-hikers, the fear of bears is a hot topic of discussion. An entire section of the class is devoted to avoiding bear encounters, responding to them if they occur, and reducing the risk to both you and the bear while camping in the backcountry. You’ll learn what the actual rules and laws are. You will also gain valuable information on methods of food storage that are both recommended and required throughout your hike. 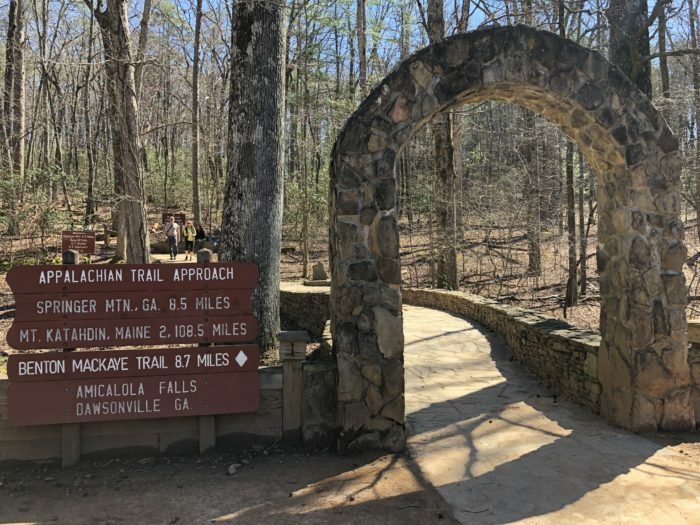 Georgia receives so much thru-hiker foot traffic each year that the Georgia Appalachian Trail Club wanted to personally address ways that thru-hiker hopefuls can minimize their impact on the trail in this state. 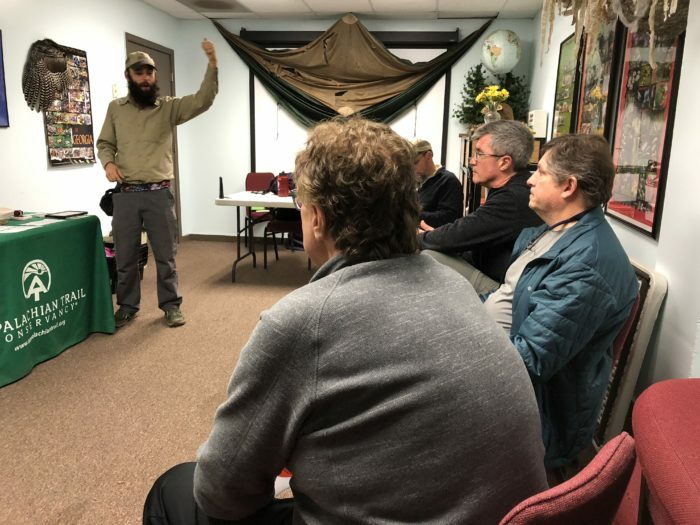 At the class I attended, a member of the GATC was present to talk with hikers about ways to prevent unintentional contamination of water sources (which leads to disease), how to choose a proper campsite – especially in over-crowded areas during peak season, and how to implement LNT principles on your thru-hike. They also want to issue the challenge to the Appalachian Trail class of 2018 to try to pick up FIVE small pieces of trash per day. If every single hiker on trail did this, the trail would be a much cleaner place for all of us to enjoy. A prospective thru-hiker discuses last-minute questions and concerns before embarking on his thru-hike. What else does this class offer? 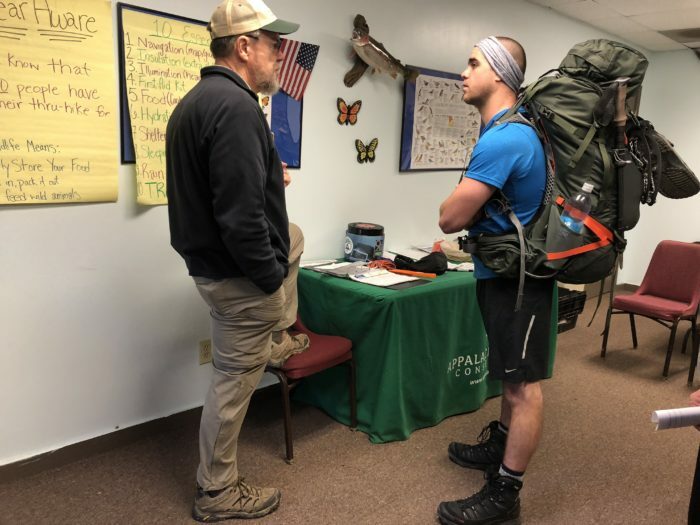 In addition to relevant and technical information, the class offers the prospective thru-hiker an opportunity to talk with people who have been there before. The class is lead for thru-hikers, by thru-hikers. There’s an opportunity after each class to speak one-on-one with a ridgerunner or representative and have your burning questions answered. Pack too heavy? They will give you a shakedown right then and there. Shed the extra ounces before you walk up those 604 steps to the top of the falls. 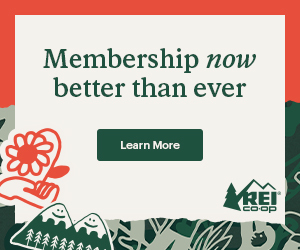 Take advantage of this, otherwise you’ll be lugging that extra weight almost 40 miles to Neel Gap. I had no idea how to throw a bear hang or even use bear cables when I started hiking. If this sounds like you, don’t worry. Someone will be on hand after the class to demonstrate how to throw a bear hang and talk with you about other methods of food storage. This was one of my greatest initial concerns. I would have jumped at the opportunity to learn before I started. Trust me, being taught how is way easier (and safer) than learning by trial and error! The classes are held every single day between now and an undetermined date around the end of April. This means that no matter what day you are starting, you can get into one of the classes. A formal classroom-style presentation is held at 9am every day in the same room where thru-hiker registration occurs. This room is in the back of the visitors center. Just ask and the staff will point you in the right direction. In addition to the 9am class, on or around 4pm every afternoon, an additional class is held for late arrivals or those wanting to leave super early the next morning. If enough are in attendance, this class will mimic the morning session in a classroom-style presentation followed by question and answer sessions, shake downs, and bear hang demonstrations. If only a couple of folks show up, the ridgerunner will do a needs-based assessment and go over the information with you one on one. What questions are this year’s class of thru-hikers asking? Do you have to have a bear canister? A bear canister is only required for overnight camping in very specific areas. However, the ATC is officially recommending that all hikers carry a bear canister. This is due to increased levels of bear activity and encounters. What is the first campsite that hikers should plan to stay at after leaving Springer Mountain? Ridgerunners are recommending use of either the Hawk Mountain Campsite or Hawk Mountain Shelter. Attending the class in-person will cover specific details of choosing a campsite during peak season. Should I carry more than one method of water purification/sanitization? 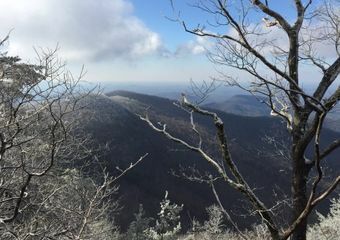 The ridgerunner will cover several different options for purifying water as well as discussing which methods work best on the Appalachian Trail. The ATC describes stealth camping as camping outside of designated or previously impacted camping areas. A detailed description of this process will be given during the class. Plus, you’ll learn how to stealth camp while abiding by LNT principles. How do I get to Springer Mountain from here? Easy answer: you walk! The ATC is recommending that hikers start the Appalachian Trail via the Approach Trail from Amicalola Falls. Due to heavy amounts of rain and increased traffic, the roads up to Springer Mountain are becoming eroded and washed out. Starting via the Approach Trail minimizes impact on these roads. Starting your hike here minimizes impact on local forest service roads. It also reduces logistical hassle, planning, and cost associated with shuttles. In addition, it provides the opportunity to see the tallest waterfall in the state of Georgia! Obviously, hundreds of other questions are being asked, and you probably have an endless list of questions yourself. 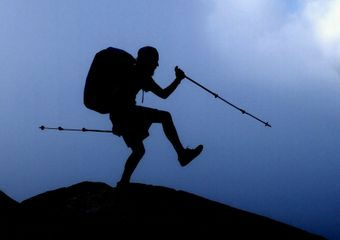 Attending one of these FREE classes is one of the best things you can do to set yourself up for a successful thru-hike. You’re going to the park to register your thru-hike anyway (RIGHT?). Plan to attend a thru-hiker class while you’re there. For more information, CLICK HERE. The article was good and informative. It could be improved upon from my perspective as a Florida resident who cannot attend the class. The ten must have items that were partially sheared should have been all inclusive. For example, what does a hiker do if they are set to go, attend the class only to find out they have overlooked a key item? Retreat to a town to buy it? I’d like to see the class on YouTube so I’m prepared when I arrive, attend the class for the do’s and don’ts as they relate to current conditions , have my pack shake down and depart the next day. Thank you for the article and the opportunity to respond.